Sometimes it takes an athlete to know an athlete. 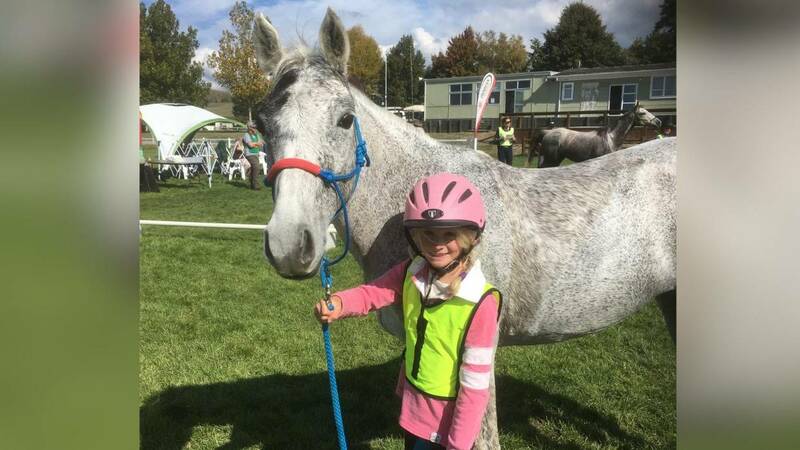 34-year-old Jeremy Reynolds is one who understands exactly what a championship calibre endurance horse experiences in a 160-km race, because he's run the distance himself. Last month Jeremy finished the 100-mile Western States Endurance Run - over the Tevis Cup course - in a finish time of just over 21 hours. "It was extremely difficult," Jeremy says. "I started doing ultras a long time ago to learn more about what the [endurance] horses go through," he continues, "the mental ups and downs that you can have." He also learned the importance of training specifically for a course so the horse (or human) uses the same muscles and joint movements he'll be using in a race. Such understanding and dedication can create a deeper partnership with a horse, and such a partnership is what helped land Jeremy and lightly raced 8-year-old RR Gold Dust Rising on the 2014 USA Endurance Team headed to France for the August 28th Endurance Championship, part of the World Equestrian Games. "He's awesome," Jeremy says of "Dust". "He trains hard, he loves the work; he's probably one of my faster horses I've been on." The chestnut gelding by Falina des Fabries out of Madeline, by Virgule al Maury, was trained as a racehorse, but never ran on the track. The Reynolds, and partner Skip Lightfoot, obtained him 3 years ago, and it was his looks that reeled them in. "He's just drop dead gorgeous, and from the performance standpoint, a huge heart girth - just nicely put together." The horse has a "little fire" under saddle, and is "kind of perfect. He likes to go but he's not too crazy, so it makes him nice, because when he trains he's honest; he's not lazy." Dust's AERC record shows 7 completions in 8 starts in 2013, and he and Jeremy won Dust's first 160-km CEI*** race in December in Florida in the North American Endurance Team Championship. 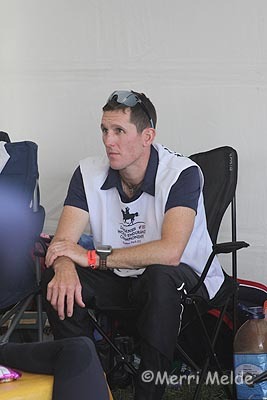 Jeremy's riding background is in fox hunting, show jumping, and guiding rides in the Sierra Nevada mountains. 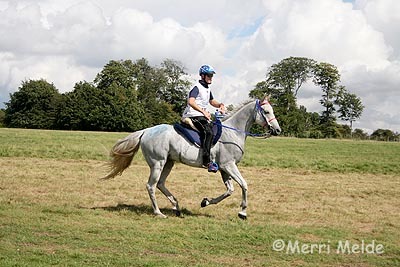 His introduction to endurance riding was a 50-mile ride in 2001 aboard Hall of Fame Endurance horse Zayante, owned by Jackie Bumgardner. Now, some 9800 miles, 3 Tevis Cup wins, 2 Haggin Cup wins, and a successful endurance training and racing business (Reynolds Racing) later, this will be the second time both Jeremy and his wife Heather will ride together in a World Endurance Championship, repeating their appearances in the 2012 WEC in Great Britain (Jeremy finished 21st; Heather finished 36th). "This is a pretty exciting team," Jeremy says of this year's select group of riders headed to France. "At the Team Trials (held April 18-19 in Ehrhardt, South Carolina), we spent tons of time on soundness, and we spent a lot of money at home doing vet workups and checking for every little thing." It takes determination and dedication to get to this international level of competition. "It's our life," Jeremy says, "and we've gone through a lot of sacrifices to do this. It takes a lot of work, and it takes time and experience to get a good horse - Dust is so talented as an athlete, it's worth that effort."